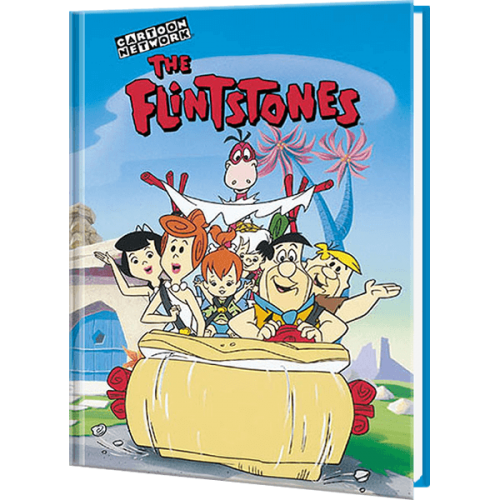 Surprises Are In Store When It Comes To This Flintstones Book! Your child helps Fred Flintstone win the Bedrock Olympics in this stone-age adventure. Fred wants to surprise Wilma, so they distract her with various helpers around the house. A baby mammoth walks across the floor as a vacuum cleaner and a monkey teams up with a turtle and the baby mammoth to clean the dishes. At the Olympics, Fred finishes third in the boulder toss. Bowling and golf go OK, but Fred has problems with baseball. Your child encourages Fred, who hits the ball out of the park and wins the Bedrock Olympics. Imagine Wilma's surprise when Fred comes home with a gold medal and a year's supply of Bronto meat!